Correctly calculating the amount of material that is required to complete the project is essential to a successful asphalt paving assignment. 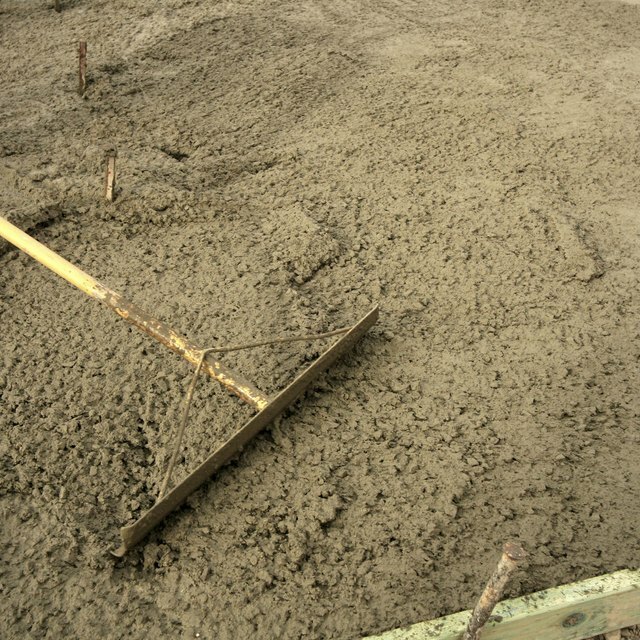 On a paving project, asphalt paving material brought to the project site is measured in tons. You can calculate the quantity of asphalt needed to pave an area by knowing the thickness of the asphalt layer that will be placed and the density of the paving material. Compute the surface area to be paved. For an example, say a parking lot that is 100 feet by 50 feet in size requires paving. The surface area is 100 times 50, which equals 5,000 square feet. There are 9 square feet in a square yard, so the project area in square yards is 5,000 divided by 9, which equals about 556 square yards. Confirm the thickness of the asphalt to be placed. For our example, say 3 inches of asphalt thickness is required. Determine the density of the paving material. A typical value for estimating asphalt paving is 110 pounds per square yard per inch. 556 times 3 times 110, which equals 183,480 pounds of asphalt. At 2,000 pounds per ton, about 92 tons of asphalt are required for this paving project. On asphalt overlay projects, irregularities such as ruts in the surface to be paved can increase the required quantity of asphalt paving material. Schaefer, Mark. 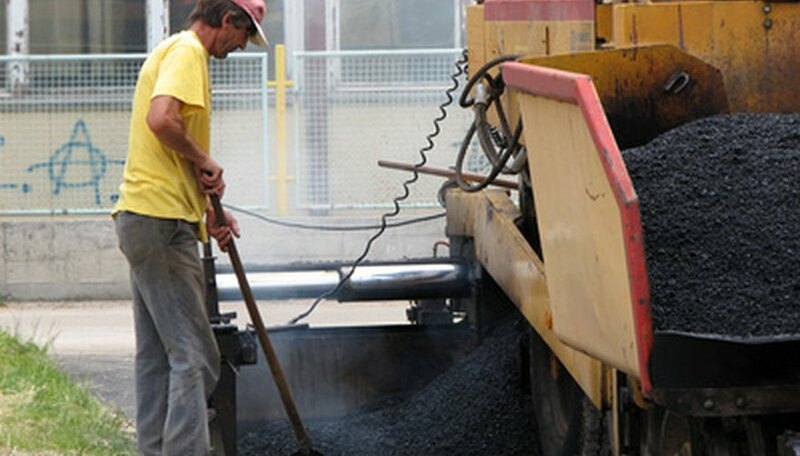 "How to Calculate the Spread Rate in Asphalt Paving." Sciencing, https://sciencing.com/how-7630734-calculate-spread-rate-asphalt-paving.html. 07 August 2017.